Throughout her time at Hope, Marissa Jackson (’11) performed with the pom-pom dance squad, socialized with the Sigma Sigma sorority, moraled for Odd Year Pull, worked at Phelps dining hall, and participated in the Phelps Scholars program. After four years, Marissa departed Hope with her Bachelor of Arts in Social Work and endless valuable experiences. 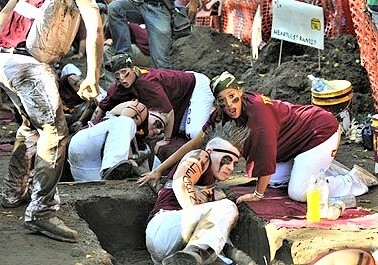 Odd Year Pull — Marissa Jackson pictured far right. When asked about her most memorable experience, Marissa talked about a May term trip to the Rosebud Indian Reservation where the disciplines of social work and education came together in an immersive experience. This trip was influential in supporting her original plan to become a school social worker. As her senior year approached and the expectations of graduation intensified, Marissa started the search for a career post-graduation. In the fall of her senior year, she was able to land a job with City Year, which is a member of AmeriCorps. City Year strives to support students and schools in achieving growth and achievement. Upon reading the job description, she knew this is what she wanted to do. She was compelled by the service-oriented work environment and moved west to Los Angeles to begin her journey after graduation. Marissa now works as the senior program manager with City Year. In this position, she works in partnership with a K-8 school and ensures that the program and services are running well. She said that the most exciting part of her job is getting the opportunity to interact with students in a wide range of grades within a variety of settings. Throughout her day, Marissa can be found forming relationships in the mornings, in the classrooms, and after school. Additionally, she oversees a small group of AmeriCorps members who are between ages 17 and 25. As they venture to a transitional point in their lives, Marissa provides guidance and mentorship. Marissa (left) with one of best friends from Hope College and CityYear. Marissa’s expansive campus involvement while at Hope helped her develop transferable skills such as time management and networking. These experiences and tools helped her stand strong in her passion of serving and helping others. 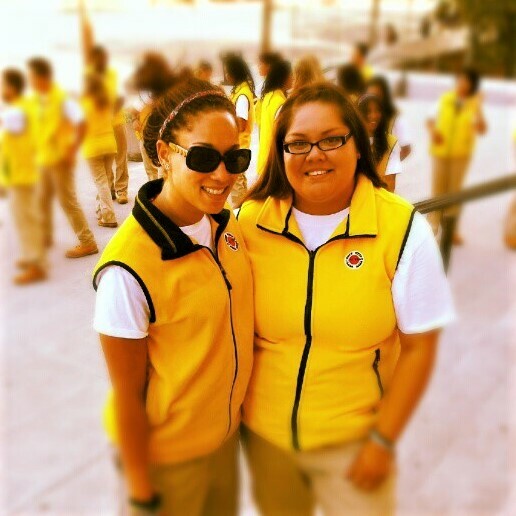 With time, her perseverance led to a desirable and meaningful career with City Year. Next Next post: The Boerigter Center Goes to Washington!